Fifteen years ago, my husband, Mark, volunteered to help coach our 5-year old daughter’s first soccer team when the original coach quit. Mark has now coached every year since, first for our daughter’s teams and then for our son’s teams. Mark never even played soccer. He volunteered to coach because no one else stepped up. 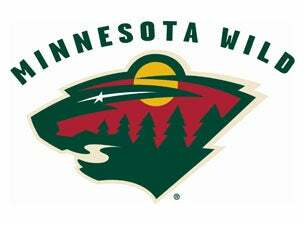 I love hockey, and every game that I really sit and watch my beloved Minnesota Wild during the play-offs, the more I fall in love with the game and am blown away by the skill and stamina of the players. I also love and admire great leadership. Every really great leader I have had the privilege to work with has taken the time to regularly reflect and make notes about their work - their day - theirs wins - their losses. These are leaders who believe that simply having an experience does not equate being experienced. It's the extra step of examining what they did and how they did it that turns the experience into learning. This morning, the sports section of the St Paul Pioneer Press, offered me a stunning example of how these two loves of mine have come together. Mike Yeo, coach of the Minnesota Wild, keeps a journal where he has made notes after each and every game he has coached in the NHL. The entries vary in length; sometimes they are multiple pages and sometimes they are a couple of sentences. But, he always pauses for a bit to reflect on the experience so if there are any course corrections to be made he can make them before his next experience. This doesn't mean that the Wild will win the game tonight. It doesn't mean that the series will go longer than the 5 games that it did last year. What it does mean is that this process of intentionally looking at the games and his coaching allows Yeo to learn in a way that wouldn't be possible if he were not using this process. It also helps him see perspective and how his perspective changes with time. I do this with many things - client work, meeting facilitation, coaching, happiness, gratitude - I LOVE using a process that provides me with an opportunity to intentionally examine my day in a way that would otherwise go completely unnoticed. How might you use this process to increase the learning in your life? LIFE IS SHORT - NOTICE IT! The colonel looks like a retired Marine colonel – tall and tough. He exudes confidence and a sense of purpose; these are qualities that I want in a leader that is leading me … somewhere, anywhere, especially when the place we are going involves change, which can be scary, uncomfortable, painful and often confusing. The Colonel, or Blake, had spent 35 years in the Marines, and 20 of those years in leadership positions. He was a master planner and executor, who taught at their leadership academies and still receives calls from the Pentagon to help them think through sticky situations. After 35 years of defending our country, he pulled the plug and became a civilian. However, work is one of his hobbies and he quickly found another job – something he just couldn’t refuse. His reputation as someone who loved a challenge was fairly widespread, which led to a phone call late one night from a high ranking government official requesting that he consider working for the state to take care of a mess in one of their departments. Without going into too much detail, what you need to know is that the state agency was comprised of about 80% female social workers. The Colonel had never had a female on his staff – EVER! In four years, he was able to lead a turnaround effort that was nothing short of superhuman. While the job itself was tough, the personal change required for his leadership style was equally challenging. What he learned on the battlefields of Dessert Storm proved helpful in fighting the battle to save children from domestic abuse. If The Colonel sounds like someone you would like to know more about, please read his story. Pull up a chair and get comfortable; his story is about 7 pages long. Also, remember that this is raw material. No editor's hawk-like eyes have seen it - plenty of spelling and grammar mistakes to go around! Try to read beneath the roughness and find the story! As soon as Christmas Day was over, and the Valentines and swimsuits were set on the retail shelves, the non-stop talk about resolutions started! I am not going to add my voice or opinion to the resolution debate. If you want to make a list - make one. If you want to set no goals for 2014 - don't. If you believe there is something magical about starting on a new plan on January 1 - then there probably is. I do know that people get pumped up when they set their eyes on accomplishing something and they do - personal achievement is a great motivator. So, if that's you, and you have something you really want to accomplish this year, I'm going to give you a simple action planning process that will increase your chances of being successful. #2 - Write it down. Make it fun. Make it visible. Tell someone else about it. #3 - Write it in appreciative or positive language... "I will ..." not "I won't... or I'll stop"
#6 - Make a list of reasons why you want to do this - benefits of achieving this - write an exhaustive list - why does this matter? #8 - Create a list of action steps. Think in baby steps. What will you need to do to accomplish this? #9 - Who are you going to enlist to help you? What other resources do you need? You don't get hero points for doing this alone! #10 - List all the reasons this will be hard. What will get in the way? If it were easy, you would have already accomplished it. #11 - NOW, develop a workaround for every barrier you just listed. If you can picture the problem, you can picture the solution. #12 - Measures - how will you know you are making progress? or if you are there? 13 Steps seem like a lot, but remember you are only going to create this action plan for one goal. Please don't be tempted to come up with a long list of goals - go with one really important one and get it right. I don't like going to the dentist ... but I do. I checked with my Jazzercise students this morning; none of them like going to the dentist either ...but they do. I work hard at taking care of my teeth. This is a habit I acquired as an adult. As a child I was horrible. I put more effort into making it appear that I had brushed my teeth than it would have taken me to actually brush them. My mom was a real stickler for teeth brushing. I would run the water in the sink, run the toothbrush under the water to wet the bristles, and squish the toothpaste tube in various places to make it appear as if I had actually squeezed some out (all behind closed doors). See what I mean? It would have easier to just comply with mom's wishes and brush them. Add to this teeth brushing charade the fact that I would sneak cookies into bed and eat them after my parents went to sleep. I developed a great ability to get in and out of a ceramic cookie jar without making a single sound. These stories of disobedience are here to help you understand how I got to be the princess I am today - a woman with a head full of crowns and root canals, which have replaced all the ginormous fillings I had in my mouth. Now that I am older and wiser, I put great effort into caring for my teeth. I brush several times a day, floss regularly, try not to grip and rip, use bacteria killing mouthwash when I remember ... that takes a lot of time and energy and I don't enjoy any part of what I just described. In my head this effort should equate to great teeth and gums and dental appointments filled with praise. That is not the case, however. My dental hygienist always finds something that I could do better. The periodontal pockets keep deepening and there is still plaque build-up and my gums could always be healthier. While I get a tad bummed out, I am also grateful that someone is checking on that for me because I cannot see in my mouth in the same way she can and provide that kind of feedback. Have you guessed where this dental allegory is headed? It's about two things. 1) We cannot assume that effort equals results. 2) Feedback is important because sometimes we just can't see what we really need to be looking at. I am not interested in your dental comments this week, but I am asking you to do a self-examination with these powerful questions. PQ - Where are you putting in great effort and are making an assumption about the results? PQ - What is something in your life where you could really use some feedback?